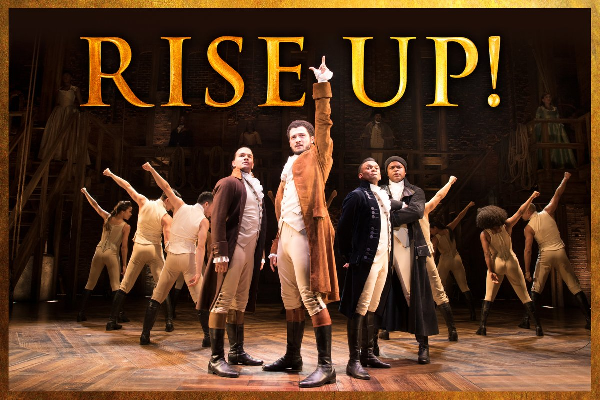 GET SOCIAL: 15 top tweets from Hamilton opening night! December 21st may be the shortest day of the year but the stars were aligned and shining brightly for the fantastic opening night of HAMILTON in London! And as soon as the show finished the rapturous reviews started pouring in! Still on a HAMILTON high we’ve rounded up our top 15 tweets from the big night! Like GILES TERERA and CLEVE SEPTEMBER we were so ready for this! Proud of each and everyone of these extraordinary artists. #WhoTellsYourStory? Good luck messages came from near and far… including the U.S. companies of HAMILTON and the London cast of WICKED just over the road at the APOLLO VICTORIA! It’s the gorgeous COURTNEY-MAE BRIGGS all set for press night show time! We love the starry background too…most appropriate! Could this be Burr’s deepest secret? An unexpected Star Wars moment with GILES TERERA and JAMAEL WESTMAN! May the force be with you! …who as well as giving an incredible performance looked very handsome suited up for the post-show party! We love our London Laurens! Some more press night post-show glamour courtesy of MIRIAM-TEAK LEE, CHRISTINE ALLADO, RACHEL JOHN and RACHELLE ANN GO. Absolutely beautiful, ladies! Mayor of London Sadiq Khan was in the room where it happened…and impressively managed to get a photo with pretty much everyone! A message from the King…we salute you, Your Majesty MICHAEL JIBSON! Even BOOK OF MORMON has HAMILTON fever! Warning: it’s highly contagious! A very special #Ham4Ham from the London company to celebrate opening night! And we love you too, Mr LIN-MANUEL MIRANDA! We’re all proud to be HAMILTON superfans!